Against a pastel backdrop of falling leaves and raindrops, a young boy learns how to make new friends and cherish the old. “Two hundred and sixty-nine days,” counts a freckle-faced, rosy-cheeked boy. His goodbye to his best friend is still fresh within his young heart. Though his companion has moved away, she sends surprise notes and chocolate bars by post, assuaging his pain and bringing a smile to his face. The support of his loving family and the arrival of a new neighbor with her striped cat combine with his optimism to slow the rainfall and welcome the possibility of a new friendship. Change is a constant in the worlds of adults and children alike. 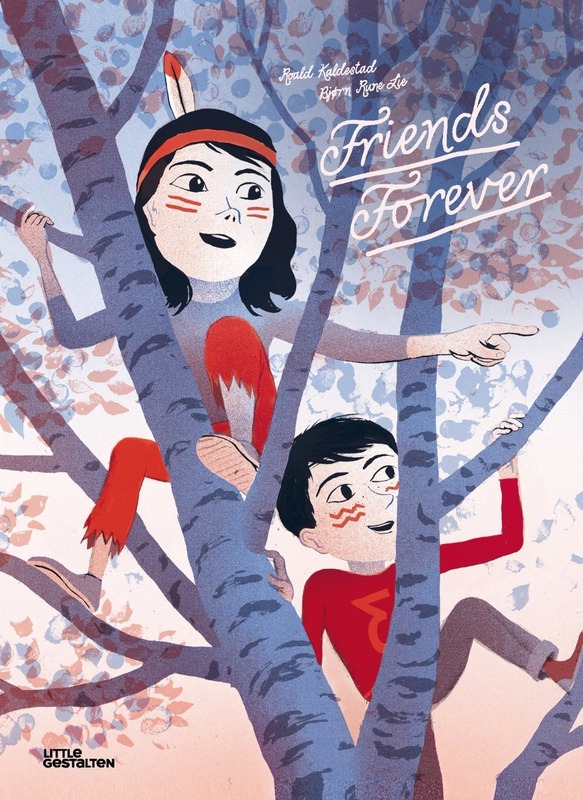 Friends Forever’s poignant story addresses change’s unexpected arrival and, through a softly colored palette, shows that change can be soothed by fond memories. The poetic text by Norwegian author Roald Kaldestad narrates the journey of the protagonist as he teaches readers to embrace the present and appreciate the joys of a bluer sky.